Sudip Rai: Why Underscores in URLs are Not Recommended? Why Underscores in URLs are Not Recommended? Google generally find hard to identify what the page is about if the URLs directing to the page contains underscores. Yeah, this is true. 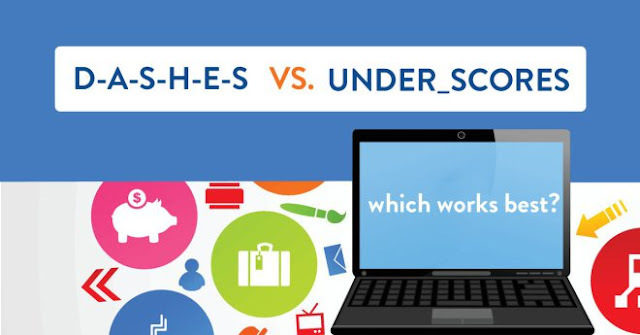 So, what you can do is instead of using Underscores (_) you can use dashes or commonly called hyphens (-). You can look at the following screenshot below from the Google Support Blog. If you want to read the whole article then you can click here to read the whole article. According Matt Cutts, a Senior Google Engineer search engine bots thinks hyphens or dashes as word separators but not the underscores because they doesn't specify any function. You can also watch this video on YouTube by Matt Cutts to understand better.